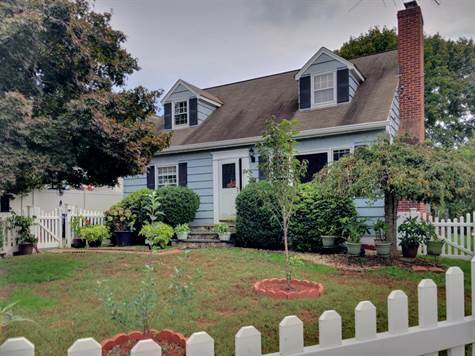 Charming East Norwalk Cape on quiet, dead end. Four bedrooms, 2 full baths. Living room with fireplace and new custom built ins. Bright kitchen with French doors to deck and yard. Recent bathroom renovations, new bamboo hardwood on second floor, new paint throughout second floor. Large basement with high ceilings, could be finished. Close to trains, Westport, beaches, and more! A great value in a wonderful location!